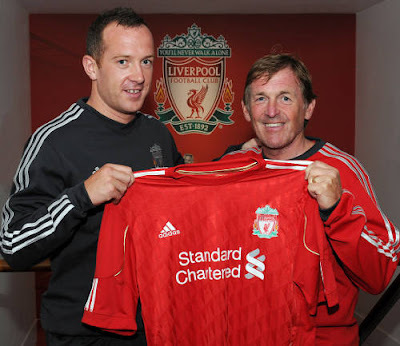 Liverpool have finally got their man, after a 7 month chase, Charlie Adam is a Liverpool player. But, there has been some question marks over whether Adams is good enough for Liverpool. Despite this, I believe Adam will improve the team. The key component of Charlie Adam’s game is his passing. This cannot be denied, Adam is a fine passer of the ball, its transparent the player can pass exquisitely with both feet. The stats prove this too. Last season, Charlie Adam made 2059 passes, he had a pass completion rate of 67%. This is a particularly impressive record, seeing it was the player’s first season in the Premier League. One could argue, Liverpool have been deprived of a long range passer ever since the departure of Xabi Alonso in 2009. Now of course, Steven Gerrard is a fantastic long range passer. But no one can deny, Gerrard is far better when he is utilised in a more offensive position. Indeed, Charlie Adam will bring his long passing capabilities to the table. Surely this is beneficial for Liverpool? Especially as Liverpool play with a high tempo. Adam’s long passing range will give Liverpool the edge on their counter attacks. Many observers of the game argue that Adam tries too many ‘Hollywood’ balls thus resulting in him being wasteful in possession. But, things will be different for Adam at Liverpool. At Blackpool, Adam was the most technically gifted passer of the ball. He was Blackpool’s main catalyst. So he was given the licence to use the ball with far more freedom. While at Liverpool, Adam will not be given as much freedom. He will be expected to play to his duties in Liverpool’s three man midfield. If Adam is wasteful with over ambitious long passes. He will be dropped. It’s as simple as that. Liverpool has more depth than Blackpool. This means if Adam isn’t fulfilling his role, another competent midfielder will take his place. Furthermore, Adam’s role in the team will be to create chances for his team mates. The Scotsman has proved he can do this. Last season, Charlie Adam made 64 key passes. Luka Modric, Aarron Lennon and Nani all made the same amount of key passes. It’s clearly an extraordinary record, especially when you consider Blackpool were relegated. This remarkable stat reinforces the idea of Liverpool acquiring players with ‘vision.’ Most teams come to Anfield and play 11 men behind the ball and often Liverpool have found it hard to create and expose their opposition. This statistic is proof that Liverpool are acquiring a player who can unlock teams at the Premier League level. The fact he has a better key passes record than any Liverpool player, it proves he is a highly credented signing for the club. Adam’s fantastic accuracy with his set pieces will give Liverpool another dimension. 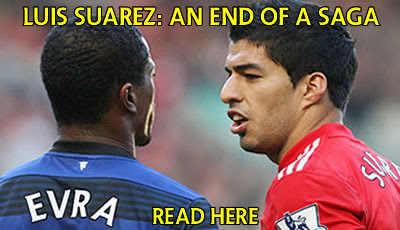 Especially since Liverpool have aerially dominating players, such as Kuyt, Carroll, Skrutel and others. This trend of Adam creating more chances than most Liverpool players continues. Adam assisted 8 of Blackpool goals last season. 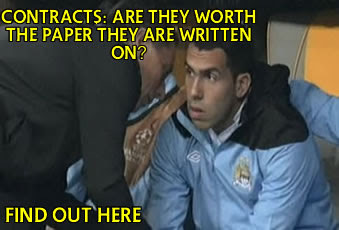 And yet again, that’s more than any Liverpool player. Of course Adam has been reasonably sloppy at times, but surely his high level of assists shows he is a player who can contribute and can make a difference. Liverpool desperately need players like this. Over the past few years, Liverpool had become mega dependent on Steven Gerrard and Fernando Torres. Now Liverpool are creating a skilled squad with players who can bring something unique to the team, rather than relying on individuals. Besides Charlie Adam’s attacking competencies, the defensive part of his game is solid too. Last season Adam made 62 successful tackles. This was more than Raul Meireles who made 55 successful tackles. Perhaps, something which Liverpool’s central midfielders have lacked in recent times is players who can successfully win the ball. Indeed, a common criticism of Meireles and Aquilani is that both players tackling hasn’t been up to scratch. While in contrast, with Adam, Liverpool have a player who has proven he can not only attack the ball, he can successfully challenge for the too. Charlie Adam’s competence in attacking and defending stems from his personality. The Scotsman’s leadership, hunger and determination are all traits which should be admired. He was Blackpool’s 'captain fantastic' last season. There is no denying this. Adam’s personality on the pitch will raise his new team mates performances, and not only this, it will inspire the crowd and liven them up even more. Having this desire and hunger to win is something that will always be appreciated in football, especially by the Liverpool fans. However, with this desire to win, it is also where Charlie Adam’s wastefulness creeps in. Last season. Adam had 2.3 shots per game. This was even more than Luis Suarez who had 1.7 shots per game. It’s clear some of Adam’s flaws are over inflated. A quick look at the players statistics prove the player is a highly productive player. Furthermore, Adam’s mobility along with his technical proficiency will suit Liverpool’s style. The Scotsman’s creativity will make the lives of Gerrard, Carroll and Suarez far more easier. Charlie Adam may not be the most glamorous of players, due to his tenacious characteristics on the pitch. But there is one word that sums him up.